My Review: To be totally honest, I was expecting this to be more of a Shojo oriented show, which isn’t typically my cup of tea. But as it turns out, I was totally off with that assumption. One of the funniest shows I’ve seen this year, Haven’t You Heard? 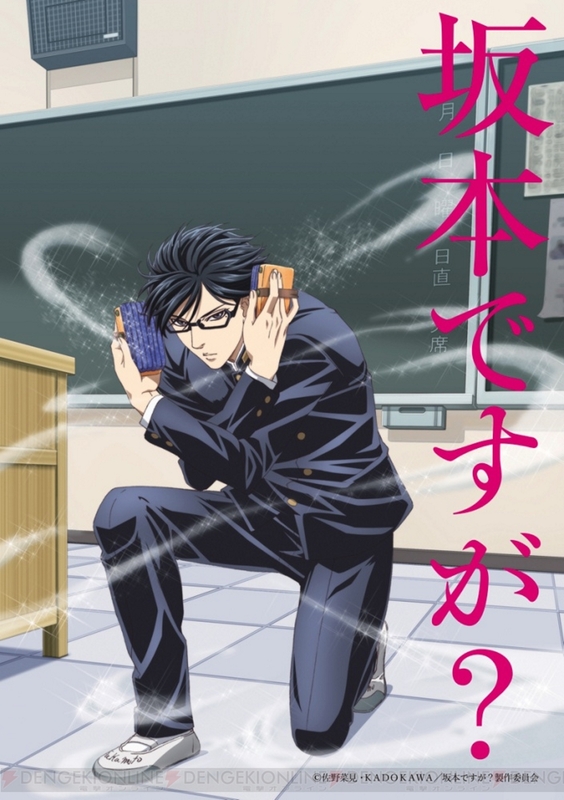 I’m Sakamoto is a show that I recommend everyone check out. Much of the humour comes from Sakamoto just “Being cool” at everything he does and for the most part, it’s really funny. Occasionally the jokes get a bit repetitive, but they are broken up by the humorous interactions between the other students. All in all, a really funny show that doesn’t take its self too seriously, while at the same time still tackling some issues like high-school bullying and the like. This character is probably the most coolest anime character of all time. Everything he does is just hilarious and cool.